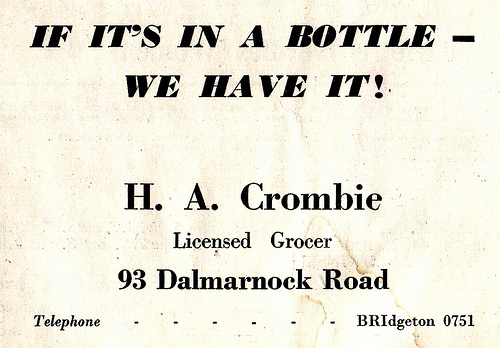 Notice in the advert the old way to show a telephone number Bridgeton 0751 which would have been dialled using the letters on the old phone dials as BRI 0751. When the telephone exchanges modernised the BRI was replaced with 554. Feb.2010, GlescaPal marymay, NSW Australia ..... that was my auntie Kate`s close ! What memories came flooding back as soon as I saw that. If my auntie Kate was alive today she`d be about 112 or so,and she had no kids. Kate Gunn,she worked in Martins Leather Works. 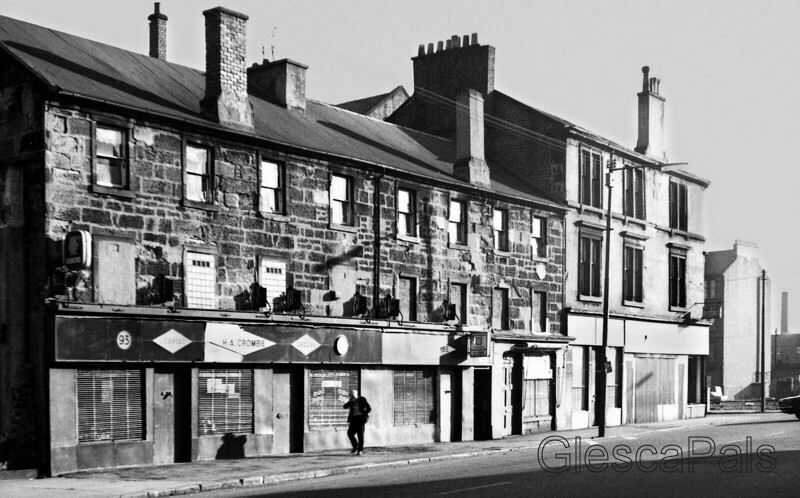 At the close was Miss Mackintoshs sweetie shop,so my auntie always had a sweetie to give all the cousins when we visited,even during the rationing time.Lovely memories.